Before the wedding, when my parents were in Turkey we took the opportunity to see as many parts of Turkey as possible. We went to Cappadocia and saw the fairy chimneys. 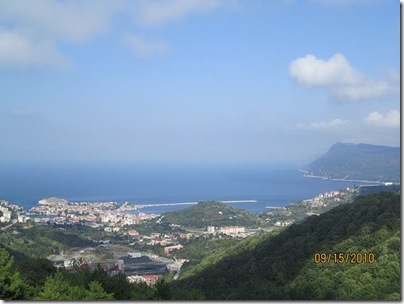 Then we started on our Black Sea tour. 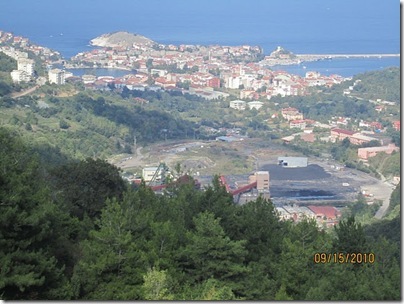 The first stop was Safranbolu, and the next was Amasra. 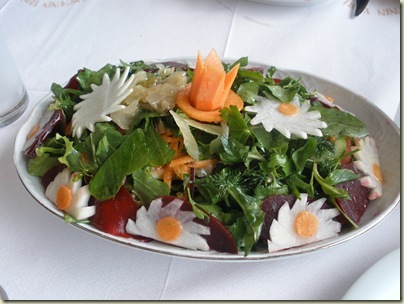 A mix of lettuce, arugula, green onions, green garlic shoots, dill, radishes, parsley, pickled beets, carrots and some other delicious and spicy additions. We were there in the off season so it was nice and quiet. We were just there to enjoy the sights and the fish. What was interesting was that people were trying to pick us up. 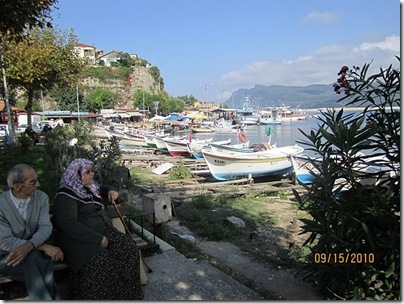 There were some older women waiting on the streets, and when we parked the car they raced up to us, competing over offering us rooms at their pensions or homes. We ended up staying in a hotel right on the water. The pensions offered by the women who were cruising us were well priced and safe, but not on the water. We were only there for one night and so we wanted to be able to appreciate the sea. We had a fantastic time and it was a lovely trip with my parents. We headed back to Ankara the next day to see some of the local sites and get ready for the Turkish wedding. 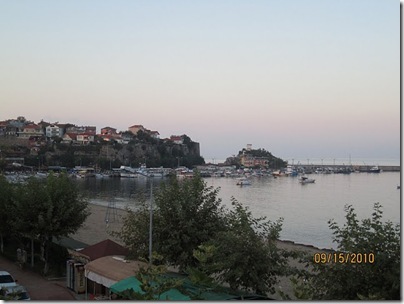 This entry was posted in Amasra, Beauty, Black Sea, FamFam, Travel, Turkey, Visit and tagged Expat, Turkey by Jules. Bookmark the permalink.